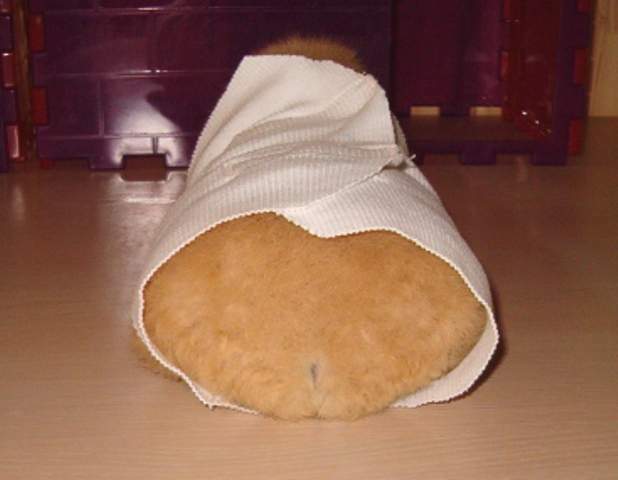 Pigjes developed a post operative sock to help prevent guinea pigs from biting at stitches. 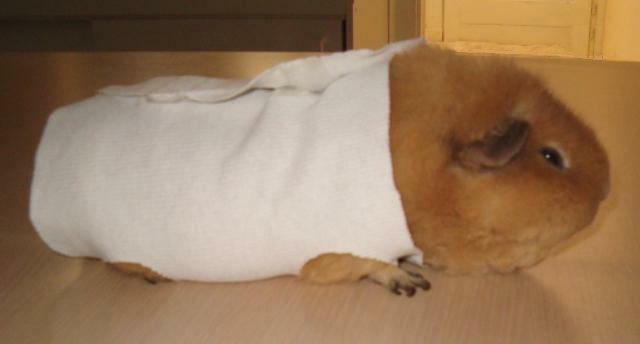 Years ago, I developed a simple post-op dress for piggies, together with a local rescue who takes sick and special needs pigs only. They had 60-80 sick piggies constantly, they had so many surgeries a week, having them give input, try it and comment, made it turn into a great idea. It took several months back and forth, till the idea was finalized. Lots of piggies chew surgery stitches. It's also hard to keep a wound on the body clean. If a wound needs extra dressing, it's almost impossible to keep something on, but with this "dress" it can be kept in place or the "dress" can function as a cover as well on it's own, because you can sanitize wash them after. You just place the pigs over the fabric. 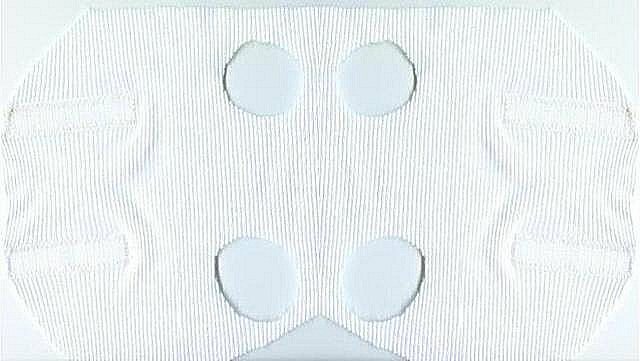 The holes of the feet slip over fast, fold the flaps and close the velcro. It takes me less than 5 secs to put one on. The pigs don't seem to mind at all to put one one, I tried it a few times myself. Wearing one does not seem to bother them after an op. The V shape, cut out at the bottom, prevents pee soaking into it. The stretchy material and the way the velcro is placed, makes it easy to fit any pig. You all can copy it and I hope it will help some of you. Here are some pigs of Floopy modeling it, years ago.